This week, we’ll be delving into the brain of the genius behind Bali restaurants Mozaic and Spice — Chef Chris Salans! 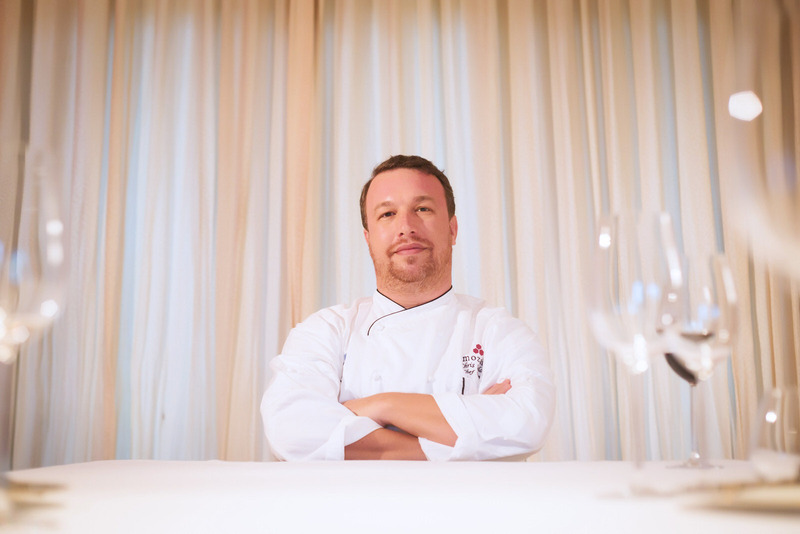 Chris truly embodies what it means to be an inventive and dynamic chef. Specializing in traditional Indonesian dishes with a twist, Chris utilizes Western cooking techniques to personalize his creations. From only the finest seasonal ingredients to flawless execution and presentation, Chris makes sure to serve up perfection on a plate every time. Read on for our chat with this easygoing yet insightful master chef! What is your favourite cuisine of all time? That’s impossible to answer because I am an eater. All cuisines are amazing to me! Throughout my travels across the five continents, there has always something that blew my mind. If you could open a restaurant anywhere in the world with no budget, where would it be and what kind of restaurant would it be? It would be in Bali and it would be called ‘Mozaic’. FYI, I am already living my dream! I have a sweet tooth for sure! What’s the one food item you cannot stand eating? Honestly, I haven’t tried it all. From what I have dared to have a taste of, intestines were not my cup of tea. In your opinion, what is the best fusion food? As we all know, ‘fusion’ has pretty much been synonymous with ‘confusion’ for a long time. I don’t believe that’s always true. The best fusion I have had is at my gastrobar, Spice – for me it is the perfect fusion of comfort food and Indonesian flavors. Believe it or not, the concept is so addictive that even though I do food tastings twice a week, I still bring my family back for more on my day off. What’s the weirdest food you enjoy eating that nobody else likes? I have never eaten anything that nobody else likes. I don’t think that exists. There is always going to be someone else who likes it, otherwise where would I be able to find it? Who’s the best chef you’ve ever known or taken inspiration from? The best chef I have known is quite possibly Joel Robuchon. The chef I have taken the most inspiration from in my career would be the one and only David Bouley of NYC. What was the very first dish you presented a customer with, and how did it turn out? The very first dish in my career? I cant quite recall but what I do remember is that in the very beginning, I used an amalgamation of all the dishes I had ever learned to compose my first menu. This was a sure-fire way to make sure everyone liked my first dish! It was only after that, with time, that I developed my own recipes and style of cuisine. What was it like working on Iron Chef alongside Chefs Sezai & Maxi? We actually never saw each other on set! Each Iron Chef came and filmed their own episode independently. Even so, I have made good friends out of both Sezai and Maxi. They are great guys as well as great chefs and I am grateful to have had the opportunity to collaborate with them on Iron Chef.